Shop online at Torrid and save 30% off everything! The sale includes clearance on Fashion for Sizes 10 – 30. No coupon code required. Shop online at Torrid here. Here’s a Mother’s Day Treat that you don’t want to miss from Gap Canada! Especially if you’ve got some clothes to buy for yourself with the warmer weather coming. Save an extra 50% off women’s sale items! No coupon code is needed. Your discount will be applied at the checkout. Also, save 40% off everything else with the coupon code GAPLOVE. Ends April 25, 2019. Cents of Style is offering a collection of some of their favorite shirts for only $13.95 a piece! You read that right, each shirt in the collection is only $13.95! That is crazy low and you are going to love it! 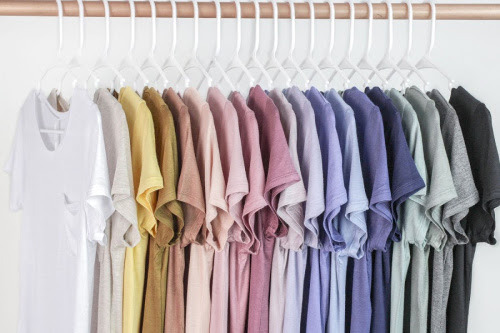 When you find a t-shirt you love, you want to buy it in every color…and at this price you can! Act quick though, because at this price they won’t last long! I personally love my Brinn Favorite Pocket T-Shirt. Use the coupon code FAVET and it makes the final price of each tee only $13.95! The code expires April 24, 2019 at midnight. Entertainment.com is having a Flash Sale! All 2019 Entertainment coupon books are now only $10! That’s a pretty great sale! Especially considering these books retail for $35 – $55. Order your Entertainment coupon book here. Love shopping online at Well.ca? Here are the Well.ca Sales of the Week! Well.ca is my favourite place to buy vitamins/supplements and natural products. Enjoy free shipping on orders of $35 or more. See ALL of the Sales of the Week here. Offers end April 28, 2019.